Dorset’s Douch Family Funeral Directors donated £200 to the YMCA thanks to their Christmas trees of remembrance initiative. Members of the public were invited to hang a message on a Christmas tree, displayed in the group’s branches, in memory of a loved one. For a donation they could also hang a bauble and the money raised went to the Bournemouth YMCA’s winter appeal for the homeless. The initiative proved incredibly popular with the trees dripping with messages from the young and old in memory of family, friends and even pets. Douch Family Funeral Director’s branches are Douch & Small in Wimborne, AE Jolliffe & Son in Ferndown, Lesley Shand in Corfe Mullen, Ives & Shand in Parkstone, James Smith in Swanage and Albert Marsh in Wareham and Upton. Managing Director Nick Douch said: “The Christmas trees of remembrance proved a real success. We were at first apprehensive at how the trees would be received but everyone who came to leave a message thanked us for providing them with this opportunity. We had far more people leaving messages than we thought we would. “We wanted to give people the opportunity to be able to remember their loved ones during a special time of year. It was also poignant to see so many people thinking of someone they had never met by donating to the YMCA appeal. 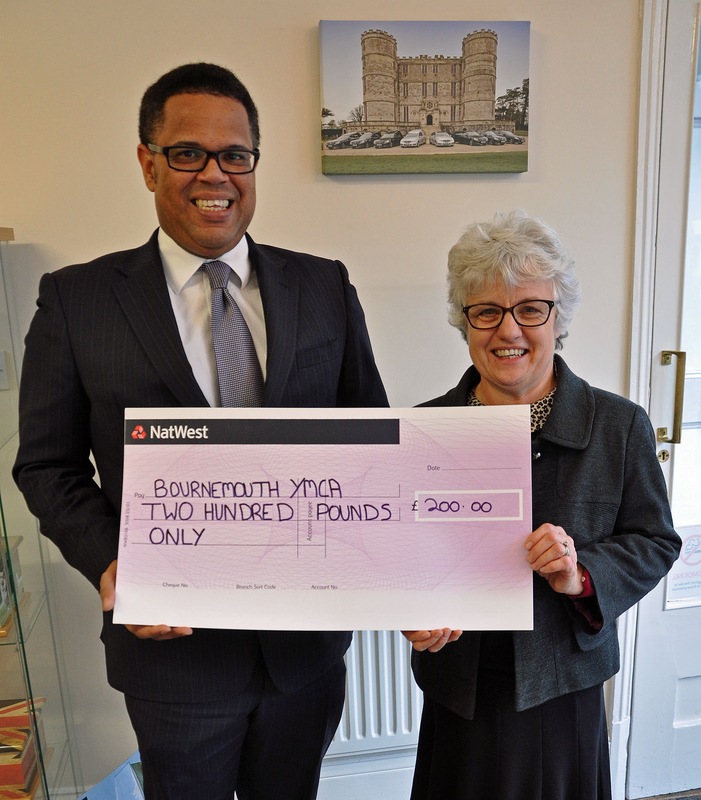 Sheena Dayman, Community Development Manager at Bournemouth YMCA, picked up a cheque from Nick. She said: “It’s really good that local businesses are willing to make a difference in other people’s lives.